Serial Scoop recently reported that Tristan Lake Leabu had been cast in the role of Reed Helmstrom, Victoria's (Amelia Heinle) now teenage son. When the casting call went out for the character, Reed was described as a good-natured, willful and sensitive teen, who takes solace in playing his guitar. Now, thanks to an audition for the character released on vimeo, we have a better idea of what makes Reed tick. Reed has run away from Washington DC to Genoa City, because his father JT (Thad Luckinbill) is planning on moving to Warsaw. Reed wants to live in GC, but Victoria reminds him that JT has custody. Reed wants to get to know his brother and sister and stay put. Victoria understands where her son is coming from, but his running away was reckless and thoughtless. Reed wonders if that is who he is now, and maybe she doesn't know him anymore. Reed runs off. Later, after Reed apologizes to his mother, she agrees to talk to JT about allowing their son to stay in town. In another scene, Reed visits Victoria at work, and she asks how school was. She is surprised to learn that he isn't into baseball anymore, but Reed does show excitement when talking about a guitar he wants to buy. You can watch actor Blaine Kern audition for the role below. 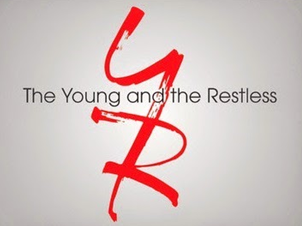 Blaine Kern - The Young and the Restless - Wes from Sharon Paz Assistant on Vimeo.